It's not often that a work comes along that so perfectly distills an approach to art that it realigns the way an art form is understood. Susan Sontag's revolutionary work On Photography was one such piece. 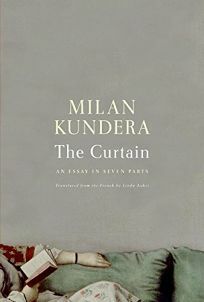 Kundera's new book-length essay should be another. The renowned Franco-Czech author (The Book of Laughter and Forgetting ) investigates the history of the novel, beginning with the moment in which Cervantes denied Don Quixote's desire for elevation to knight-errant and instead "cast a legendary figure down: into the world of prose." In the prosaic world, according to Kundera, the absence of pathos, the insistence on the comedic and the interrelation of all novels represent the locus of meaning and emotional impact. Kundera argues against the tendency to classify and study literature through the lens of nationality. Instead, he proposes a world literature that would take into account the way novelists learn from one another, Sterne from Rabelais, Fielding from Cervantes, Joyce from Flaubert and, though he never explicitly states it, Kundera from them all.